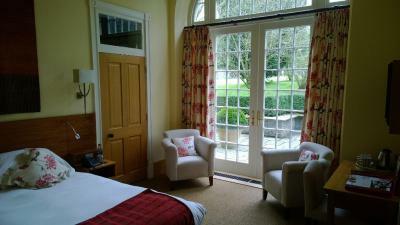 Lock in a great price for Slebech Park – rated 9 by recent guests! The breakfast was delicious! The grounds were spectacular and the service was incredible. Beautiful location with lovely walks around the property. The restaurant is excellent! I liked literally everything about Slebech Park. The warm welcome, the excellent reel, the delicious dinner and breakfast, the pillow - most comfortable ever, the beautiful grounds. When I first saw pictures of the estate I thought a stay would be well beyond our means but it was exceptional value for money for the accommodation itself. The dinner was expensive but a one off special treat for us and worth every penny as it was outstanding. Slebech is in a lovely quiet location that is very well tucked away. 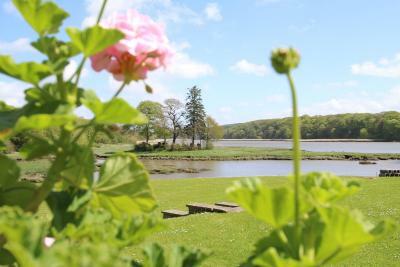 Setting in a picturesque estuary and lovely quiet park. Perfect for strolling and listening to birds. So memorable to see the lovely gardens. 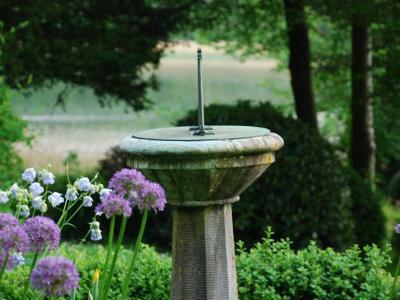 This is a very special place in a beautiful, secluded setting. The room was excellent, breakfast was great, and we had a first class dinner, which was well worth the money. We were lucky to be upgraded to a superior room which was spacious and very comfortable, especially the beds. The continental breakfast was delicious and gave a generous choice. Top class restaurant. The food always delivers. The kitchen garden is a hidden gem. It is so peaceful. Slebech Park This rating is a reflection of how the property compares to the industry standard when it comes to price, facilities and services available. It's based on a self-evaluation by the property. Use this rating to help choose your stay! 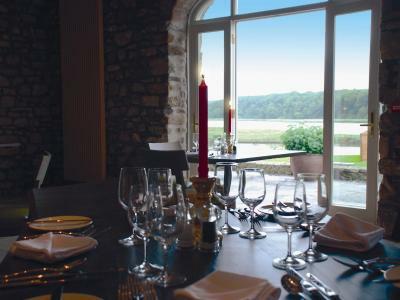 Set in a unique waterside environment on a tidal river estuary, Slebech Park Estate is a historic Country Estate that offers award- winning 5 gold star accommodations in the Pembrokeshire Coast National Park. Each room has a unique design and offer a range of views. Each room comes with a flat-screen TV, tea and coffee, Bara Brith, Welsh cakes, Organic Toiletries and Egyptian Cotton bedding. 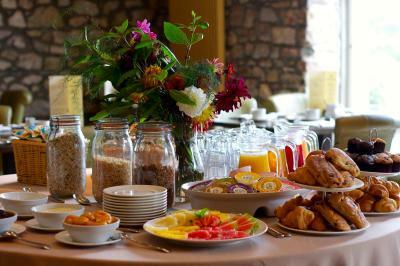 The award-winning breakfast is available every morning, and includes A la Carte options. 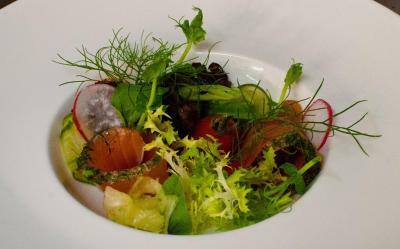 The 2 Rosette restaurant offers fine food supplemented from the Vintage Organic kitchen gardens. 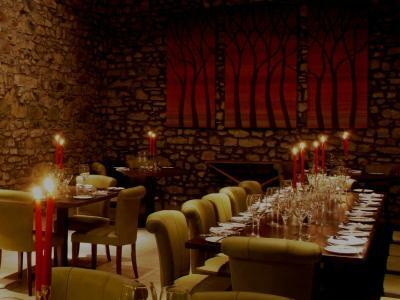 The property offers a relaxed dining experience with riverside views, for lunch, afternoon tea or dinner. Slebech Park Estate offers the chance to wander undisturbed on meandering walks down by the river, meadows and mature woodlands. There are many places for guests to sit and relax and unwind. 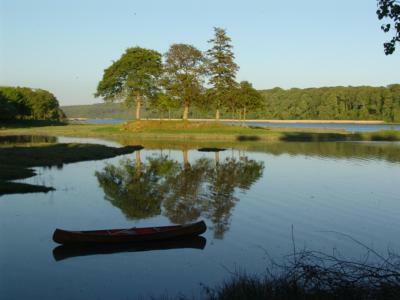 The Estate features plenty of natural beauty and offers the chance to see many local birds, otters and bats, Trees and Hedgerows. 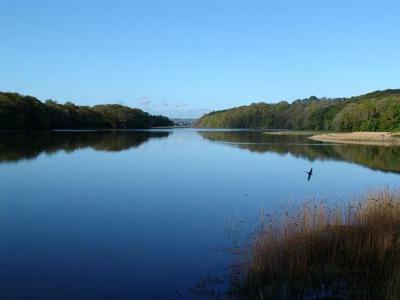 An array of activities are offered in the area, such as cycling and fishing. 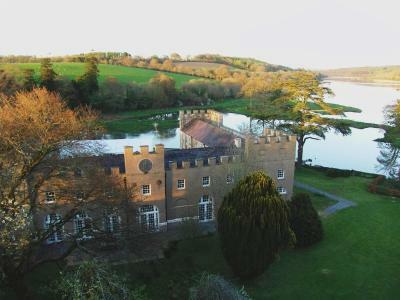 Pembroke Castle and the Pembrokeshire Coast Path can be reached within 17 miles of the property. Tenby and St Catherine's Island & Fort are also 17 miles away. 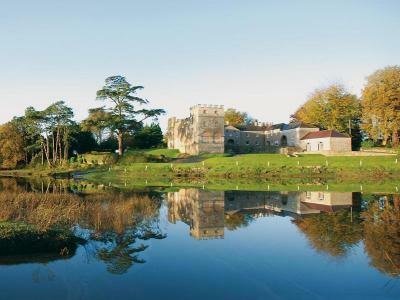 This property also has one of the top-rated locations in Wiston! Guests are happier about it compared to other properties in the area. 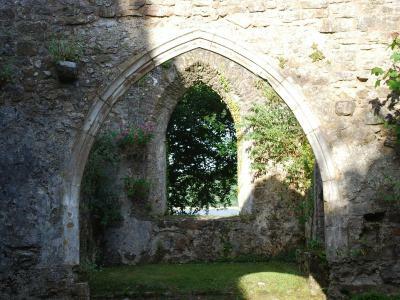 This property is also rated for the best value in Wiston! Guests are getting more for their money when compared to other properties in this city. When would you like to stay at Slebech Park? All the classic rooms have their own character, floor plan, bathroom facilities and Continental Breakfast buffet is included in the room price. 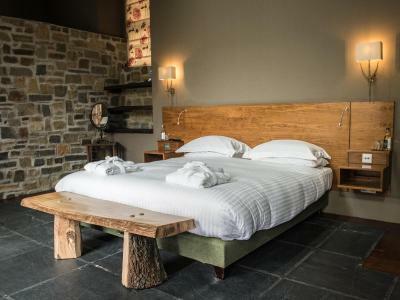 'Wall Room' is located on the ground floor and it features courtyard views, Welsh slate floor and shower room. This room is pet friendly. 'Falconhurst 1' and 'Falconhurst 2' are located in the first floor, equipped with shower over the 1800 ml bath, views over courtyard and house gardens and cozy lounges. 'Orangery 1' is a full accessible room that is located on the ground floor and it features views over house garden, a large walk in shower and a sun terrace. 'Orangery 2' is located on the ground floor and it features views over house garden, shower/bath and a sun terrace. 'Glenarm 1' is located on the first floor and it has a separate shower and 1800 ml bath. Pets are welcomed on request only. 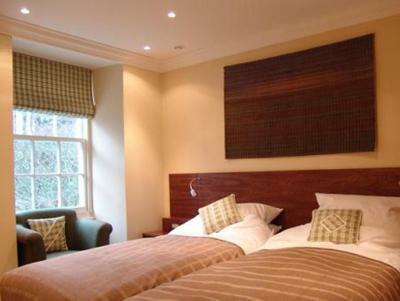 These individually designed and luxuriously furnished rooms feature Egyptian cotton bedding and organic toiletries. 'Eashing' 1,2 and 3, are located in the second floor and feature views over the courtyard. 'Eashing 1' feature original low beams with makers mark still in place. All 3 rooms have separate shower rooms. 'Eashing 4' is the largest Granary room, located on the first floor, it has a separate bath and shower rooms and views over our courtyard. 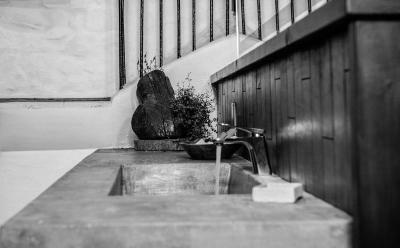 'Dalham 2' is located on the first floor and it features a shower over the 1800 ml bath, views over the courtyard and house gardens. 1 room is pet-friendly by request only. 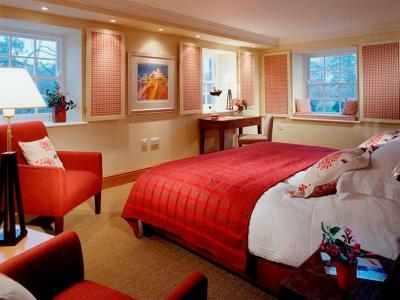 The spacious deluxe rooms all have large floor areas or extra lounges to relax and unwind in. 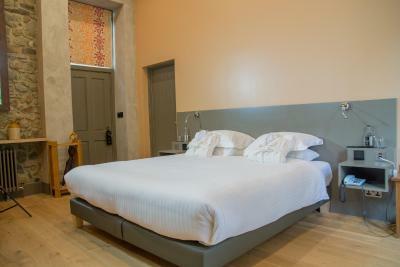 It includes Egyptian cotton bedding and organic toiletries. Continental breakfast buffet is included in this room type. 'Dalhlam 1' is located on the first floor and it features dual aspect over river and house gardens and it has a separate shower and 1800 ml bath. 'Hamilton' is located on the first floor and it features original beams with makers mark, split level lounge area, shower and 1800 ml bath. 'Orangery 3' is located on the first floor and it has a Mediterranean feel, split level, 1800 ml separate shower and a sun terrace. This room is pet friendly. 'Glenarm 2' is located on the first floor and it has a separate lounge and a shower over a 1800 ml bath. 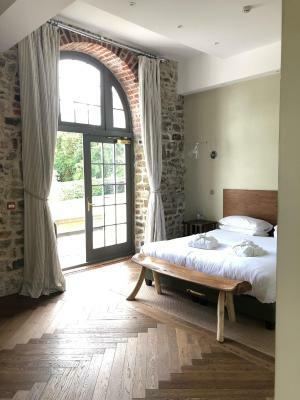 'Glenarm 3' is located on the first floor and it features a separate shower over a 1800 ml bath, a large lounge area and views over the courtyard. It is suitable for families. 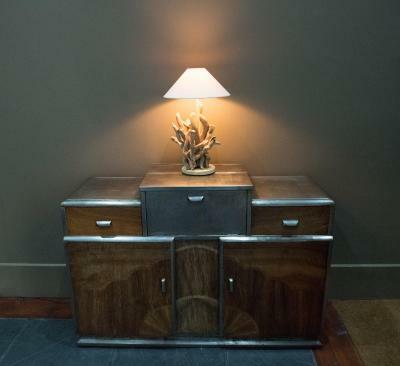 These rooms are individually designed and luxuriously furnished with extra care taken to use only natural materials and showcase the history of the building. 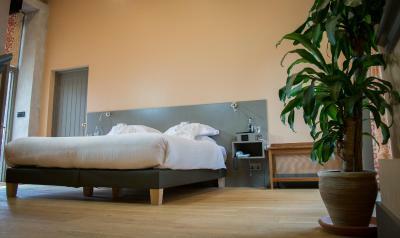 Savoir beds, Egyptian cotton bedding and organic toiletries are included. Continental breakfast buffet is included in this room type. ''Loosebox' is located on the ground floor and many features of the listed 18th stable are still in place. 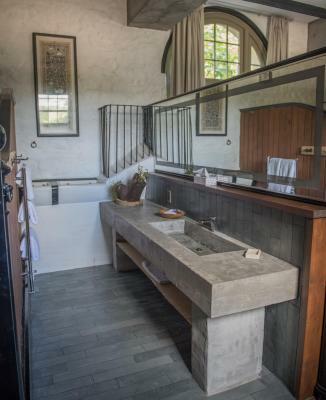 It features a large bed, a large sink area, a bath made on-site and a separate shower. 'Dunluce 1' is located on the ground floor and it features dual aspects views over the house gardens and river. 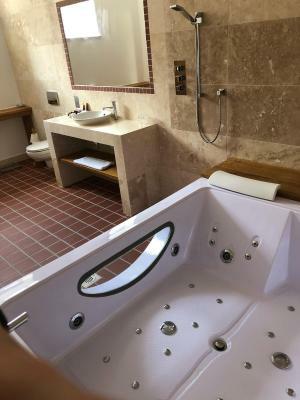 There is a large walk-in shower, a deep bath tub and a sun terrace. 'Dunluce 2' is located on the ground floor and it features views over the river and a large wet room with a Jacuzzi® bath. 'Dalham 3' is located on the first floor and it features views over the river and a wet room with a Jacuzzi® bath. 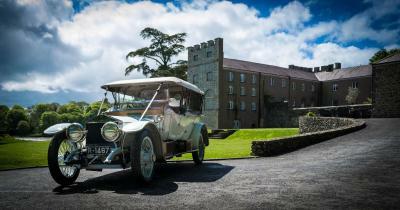 The Slebech Park Estate has been an important part of Welsh history for over a thousand years. 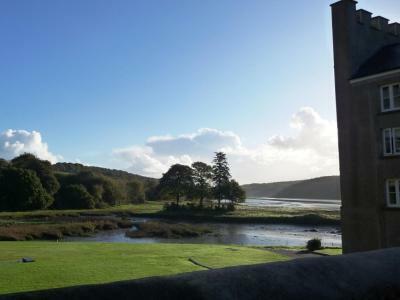 We offer peaceful and luxurious accommodation in the Beautiful Pembrokeshire Coast National Park. 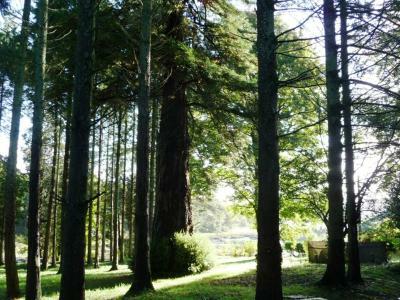 A couple of minutes drive off the main A40 road to Haverfordwest you can immerse yourself in the stunning and peaceful surroundings of a 700 acre private estate. 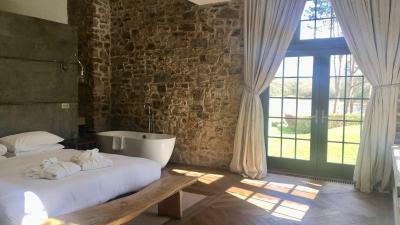 It has a serene and informal atmosphere and rooms with a simple, chic décor and countryside views for miles. 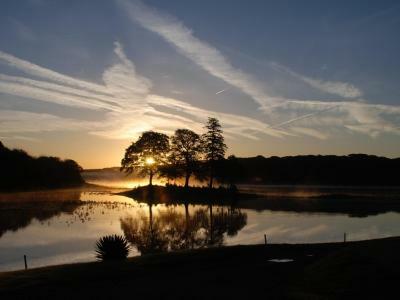 The natural beauty of the Estate has been protected over the years so our cherished wildlife, birds and trees are left to flourish at their own pace. 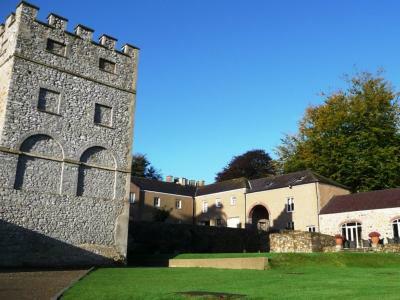 The Slebech Park Estate is well located for the coast path, stunning beaches, Norman Castles and the popular destinations of Tenby and the city of St David's. 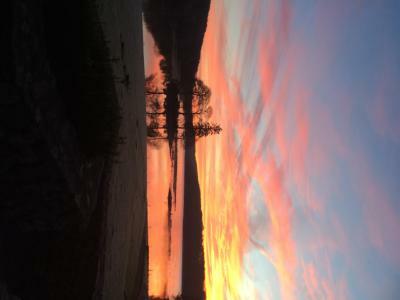 We are perfectly placed to experience the beautiful and unspoiled county of Pembrokeshire. House Rules Slebech Park takes special requests – add in the next step! Debit card Slebech Park accepts these cards and reserves the right to temporarily hold an amount prior to arrival. Slebech Park accepts these cards and reserves the right to temporarily hold an amount prior to arrival. Please note pets can only be accommodated upon prior request. Please note, a continental breakfast only is included in the room rate. The exterior of the building could be painted or rendered and the building itself would look so much better. 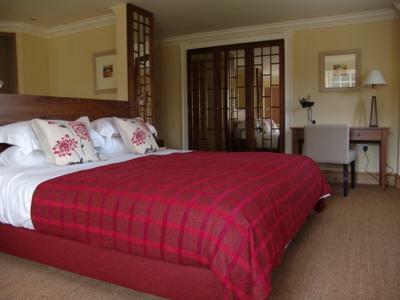 Stunning location, spacious bedroom, fantastic bathroom and cheerful and helpful staff. After a power outage late in the afternoon the wifi did not seem to work for the rest of the day. We had an amazing stay and were treated with so much respect and friendliness. The entire staff seem exceptionally caring and are attentive and made our anniversary trip special for us. For that we are grateful and would love to return. The breakfast and dinner were both exceptional. Remote, lovely place to visit. 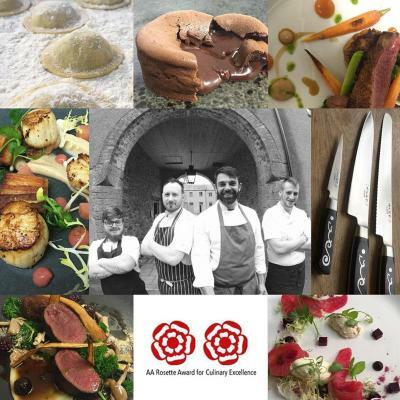 Great staff and restaurant! I would have liked there to be a dining area that we could go to with our dog. Didn’t use the restaurant, other than for breakfast because of this. Also, a room with access straight outside would have been more practical than a room upstairs. Also didn’t expect to have to call down as we had no hot water and our room was not made up on the second day. The bed was very comfortable and the room was spacious. The setting was quiet and we had good nights sleep. The location was central for places we wanted to visit. No hot water in the morning. 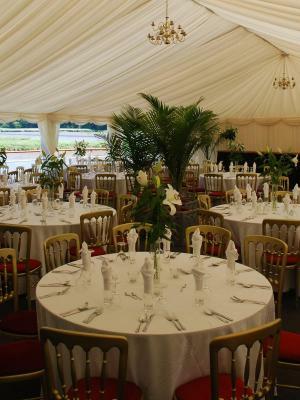 The grounds, staff friendliness and size of room. Beautiful hotel, wonderful grounds, very good food and brilliant staff. Thank you for a lovely stay we wish it had been longer. Check-in staff were dismissive and the bed was very uncomfortable. Note that although the prices below cite 'breakfast included', this is a continental breakfast only - cooked is available at additional cost [which is only made clear in a follow-up confirmation email]. The grounds are nice. Large bathroom. The value for the meals could be better. Lovely old buildings, quiet and peaceful location. Very clean and well appointed rooms and hosts were very helpful, converting one room to twin beds to accommodate our children. Continental breakfast lovely! Small cups and difficult to hold, some big cups or even mugs would be better. Confusing buttons at bedsides to operate all the lighting, have to press them all to see which worked whenever we needed to switch a light on so then switched them off and on again. They also operated the bathroom light. Rather limited menu. 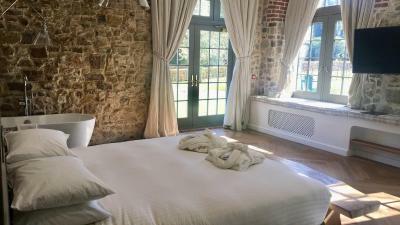 Inspiring historical location, large spacious room in old stables building with lovely white cotton bedding. All the staff were very friendly and pleasant. Not value for money. Everything is charged extra. Kids bed, tray charges to bring food to room, on-site cycle hire, hot breakfast ( only continental is included in price), best of all full payment required for entire stay on arrival making it difficult to argue on any service issues.